Since it was completed 100 years ago, the Panama Canal has been the only shipping route through the land mass of the Americas. Controlled by the US for most of its history, it allows ships to navigate between Pacific and Atlantic oceans without having to sail all the way to the tip of South America, through the infamous Magellan Strait. This makes it one of the world’s most important economic arteries. But on December 22, work began on a new canal route in the region, in what is one of the most ambitious infrastructure projects of our time. 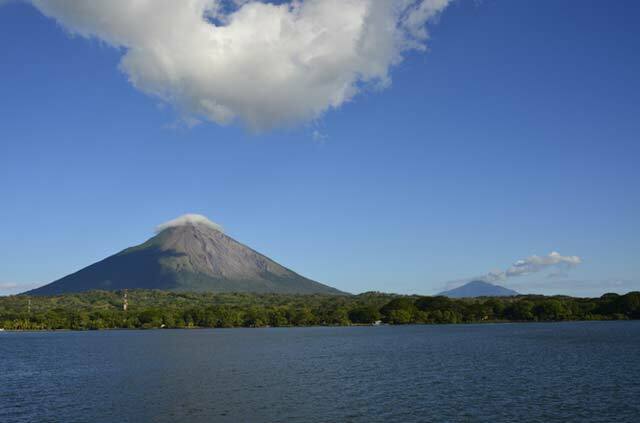 The Interoceanic Grand Canal of Nicaragua will take five years to build over some 278 miles, traversing several major rivers and also Lake Nicaragua, the largest freshwater reserve in Central America. Having been discussed for some 200 years, it is expected to cost $50bn (£32bn), nearly five times the country’s annual GDP. The project resulted from the Nicaraguan national assembly agreeing a 50-year concession with the Chinese company Hong Kong Nicaragua Development (HKND) – with the potential for a 50-year renewal thereafter. The canal will allow the passage of the world’s largest ships, some of which will be too big for the Panama Canal even after its current expansion project has completed. The project is supported by Daniel Ortega, the Nicaraguan president. Ortega is the former commander of the Sandinista revolution and head of state in the 1980s, who returned to the helm after the 2006 election and has had a history of difficult relations with the US. His party, the Sandinista National Liberation Front (FSLN), has become an authoritarian political machine that is particularly effective at controlling the population. It is difficult to get a job in government without belonging to the FSLN, and hard to have any power without being close to the Ortega clan. Daniel Noriega. (Photo: EPA) The president’s son, Laureano Ortega, handled the negotiations with Wang Jing, the chairman/CEO of HKND, on the conditions of the concession. The project is managed directly by the president. The canal budget does not appear in the draft government budget, and the finance minister himself has complained about the lack of information around project costs. There are also a number of important questions about the project that have never been answered. We know that HKND is a sprawling Beijing-based operation with 15 subsidiaries, but despite strenuous efforts, the Nicaraguan media has so far failed to find out where its leader’s personal fortune comes from. Wang Jing has announced that he has gathered enough investors for the project, but despite several public presentations and insistent questions, the details about project finance remain unknown. Wang Jing. (Photo: EPA)There has been speculation about the links between Wang Jing and the Chinese military. It is seen by some as the main provider of canal project funds, even though the project is officially private and China has made no official statement. The nation’s growing commercial interests in Latin America certainly make it easy to imagine that it might like to have an alternative to the Panama Canal, now run by a Panamanian government agency. The US has not made any statement about the project either. Different specialists who I have interviewed have variously argued that the US is waiting to see if the project is serious; is too busy elsewhere, notably in the Middle East; and has not taken the measure of the project and its possible consequences. Whatever the case, the silence is surprising. The environmental lobby has been more forthcoming. One of the most active has been the Centro Alexander von Humboldt, which has released the only environmental impact report to date. It has said that the impact of construction through the lake would be irreversible, affecting the nearly one million people who depend on it for drinking water. Dredging the lake at a depth of more than 30m, displacing millions of tons of sediment, could also radically alter and potentially destroy the biodiversity of the lake. Also controversial is the work that is currently starting on two deep-water ports on either side of the country and a highway to transport equipment and concrete-manufacturing plants. The environmental impact study for these parts of the project, by the English company ERM, is not due to complete until April 2015. The Grand Canal Act meanwhile authorises HKND to expropriate any land in Nicaragua for the needs of the project. It will displace thousands of peasants and indigenous peoples. Yet unlike the Panama project, there was no referendum on whether it should go ahead. In the face of the government’s promises about taking the country “out of poverty” and providing thousands of jobs, farmers’ property rights seem to weigh little. The farmers likely to be affected by land expropriation have been holding demonstrations in numerous localities since last September. They have been told nothing about how and under what conditions this will happen. In El Tule in the western part of the country, farmers have been blocking the Managua-San Carlos highway for several days to prevent the entry of Chinese workers and vehicles of the Nicaraguan army. With the Chinese beginning to install their first settlements, protesters have been complaining about the increasing militarisation that is accompanying the project. Neither has anything been said about how the country will manage the future economic impact of the canal. I have heard concerns among Nicaraguan economists that the country could become little more than an enclave economy with little in common with the rest of the region. In short, it is long overdue that the spotlight be shone properly on this huge project. The environmental, social and geopolitical implications could cast a shadow over the region for decades to come. Maya Collombon is a lecturer in Latin-American Politics at Sciences-Po, Lyon.